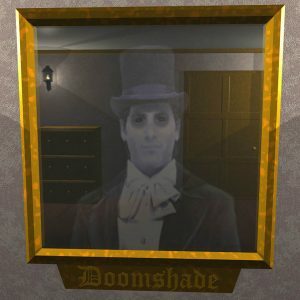 We are Doomshade. Check out the new music we have written. If you like hard rock and heavy metal in the style of Ozzy, Judas Preist, Iron Maiden, and Black Sabbath, then you will probably like what we are doing. 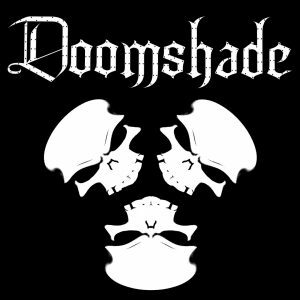 Doomshade released their first record through Open Grave Records in 2007 and toured for that album until 2009. You also might remember Maxx from the bands Graven Image and Ancient creation. Doomshade has been retooled and now that Maxx is doing the singing the band will remind you of Graven Image. The last Graven Image record was a double vinyl release by High Roller Records in 2010. Sean joined the Doomshade crew at the end of the original run of the band and performed shows in 2009 and 2010 with Doomshade. Chad is new to our little group of players, and over time we will drive him mad like the rest of us. 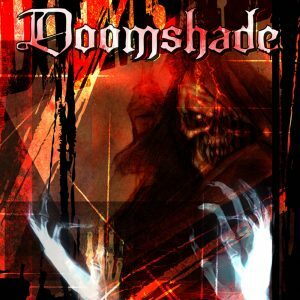 Doomshade released their debut record in 2007 through Open Grave Records. It is still for sale today. 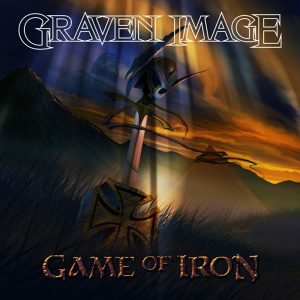 The band formed from the remnants of Midwestern metal band, Graven Image. Originally it was supposed to be a small project to record 4 songs for friend Jay Stadler. The song list grew from four songs to ten and things spiraled out of control. Once the direction of the music had been established Maxx just kept writing. There was never any plan to perform live, but a gig was booked on May 18 at the Grand Emporium in Kansas City. Jay experienced his first live performance that night to a packed house. The preshow butterflies were squashed two songs into the set and replaced by adrenaline. The audience loved it. Many more shows followed that summer and fall, and the band decided to record a full album instead of just the original four songs Jay requested. Open Grave records signed Doomshade in February 2007, and the band played 200+ shows to support their release over the course of the next two years. Mid grade record contracts are hard work. You haul your gear. You do the driving. You are your own tech. You do NOT get rich. You collect your pay. You might break even. The time, effort and money involved wore the band down and several members dropped out and were replaced during the tour, but the show must go on. Two years of shows brought the name Doomshade to many ears, but by 2009 it was time for a follow up album. The band ceased live performances and began rehearsing new material for the studio. Maxx wrote a brand new album for the band, but by 2010 downtime took its toll. Touring has its own set of challenges but keeps people focused on the mission. Downtime allows people to stray off into non music distractions and become lost. Doomshade performed two shows in 2011 that featured the new material. It was very well received. Family problems for Jay had become insurmountable by then and it was obvious the band could not go on. Maxx had been playing with Ancient Creation for a while by then, so when band said its goodbyes, he kept playing and writing with them. Ancient Creation was a lot of fun. It was a real pleasure to perform with Steve Bently, Keven Keeton, Pete and Andy. They wrote some very good tunes. The music was supposed to be an amalgamation of two respective styles, but after a while it became clear that AC really wanted to continue on with the direction they had been going. Maxx left the band on Halloween 2013. It was time to get his backlog of written music recorded, so he decided to look for new players to do the music he had always done. 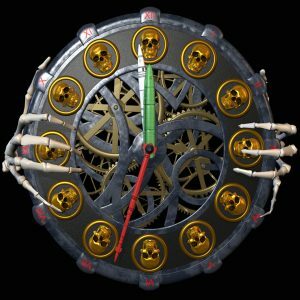 The song Outlander on the new Doomshade album was written for Ancient Creation. It was the sole contribution that was allowed. Goodbye AC! Tony, Geezer, Bill…you out there? The band was a Sabbath tribute and Maxx had a great time playing Ozzy. The band thought they were worth gold though (they were), and had little motivation to establish name recognition in order to get to the payday they desired. It was a cart before the horse sort of situation, and after two years of trying to get his band mates to perform everywhere, anywhere, for anything just to get the ball rolling….Maxx called it quits. Two years of rehearsal for six shows is all he could squeeze out of them. Maxx bought a farm during this time also. Tractors, crops, and little critters. What fun. We do live in the American Midwest after all! Maxx decided in 2016 to get back to what he loves to do, and that is sing and play guitar for his own music. How did he get so side tracked from his days in Graven Image? Well, life is full of twists and turns and sometimes you just want to explore everything. Sean Jameson has played drums with Maxx off and on ever since they formed their first cover band when they were kids. In 2016 they began to record a new record. Late in the year they decided to get a bass player and do live performances. It has taken some time to train the new guy. He isn’t an old hand at the bass, but he has guts…..and sometimes….guts is enough. We welcome to our bruised brained brotherhood, Chad Zard. 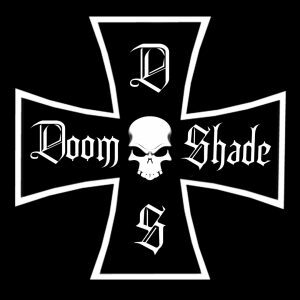 Doomshade has 3 more songs to record and the new record will be finished. 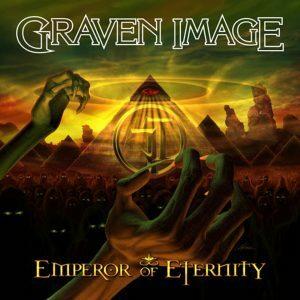 You can expect the kind of thematic elements that made Graven Image popular. The songs aren’t as lengthy as the GI stuff…well…ok….a few of them are. Hard Rock /Epic Power Metal is probably the genre the new music will be fixed. We never know until others tell us these things. In the end it is all just Maxx Muzic to us. We have been writing, rehearsing, and now (a few unexpected farming injuries aside) we are about to start performing live again. What name do we use? 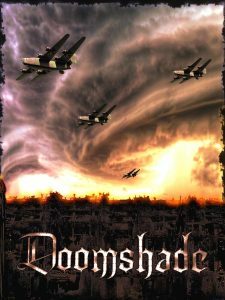 How about…Doomshade.